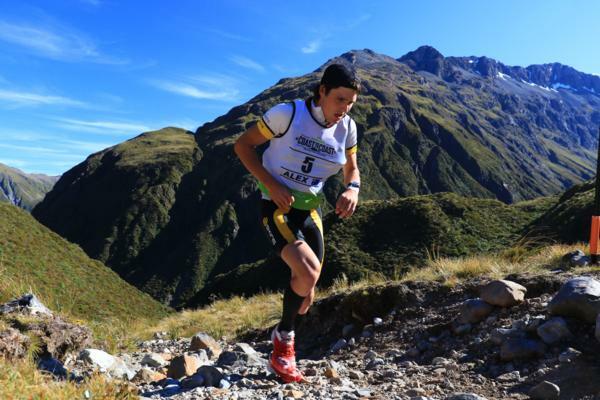 Trans-Tasman rivalry is heating up for next month’s Kathmandu Coast to Coast with leading Australian multi-sport athlete Alex Hunt keen to take this year’s race to defending World Championship Longest Day champion Kiwi Sam Clark. Back for his third crack at his favourite event Hunt is aiming to repeat his 2016 podium effort in the longest day event and is keen to put the pressure on Clark who looms as the race’s hot favourite after back to back wins. Hunt, who is sponsored by Kathmandu, leads a growing number of Australian’s entering the event. He is very keen to put what he says was a disappointing performance last year that still saw him finish a credible sixth behind him as he hopes to push defending champion Clark and put the experience of two years of racing over the tough course to good use. With less than a month to the one day event on Saturday 10 February Hunt has been focussing on getting the training miles in and has not put much thought into how he would like the race to pan out other than he wants to go fast. Hunt, who was part of an international team that won five of China's largest multi-sport events last year, is hoping some of that form and race experience combined with a good block of training sets him up for a good showing next month.